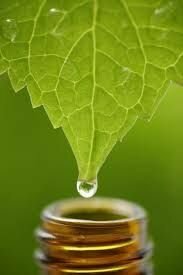 In the history of medicine and at least until the sixteen century, the history of aromatherapy is largely blended with phytotherapy. If we find the traces of distillation extractions methods, in China and India, ( ayus-veda) back severals millennials , it is in Egypt that their use has first been proven.In ancient Greece, the writing of Dioscorides refers to the use of aromatic extracts. The Romans also used them in the form of oily ointments. The Persian alchemist Jabir Ibn Hayman ( GEBER) was credited with inventing the alambic and allowing the production of the first distillation quintessence in the 8th century A.D. Extraction processes subsequently improved with pharmacopoeias using them toward the sixteen century. it was only in the 19th century that the active principles of odoriferous molecules began to be isolated and classified, allowing their specific use. in 1964 the reference book " Aromatherapy: treatment of diseases by plant essences". Subsequently, Pierre Franchomme, with the notion of scientific chemotype, helped to improve the identification of active ingredients in the extracts used. They are both considered the fathers of the modern scientific aromatherapy. At the end of the 20th century, as with all pharmacognosy, scientific aromatherapy benefited from the advances in analytical methods, in particular chromatography . The precise distinction of aromatic compounds allowed medicine to better understand their mechanism of action, and to refine their prescription.